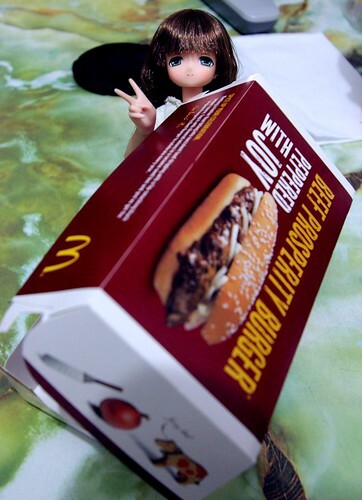 Mia eaten my Beef Prosperity Burger while I was not looking...and surprise me by hiding inside it...how did she finish the whole burger herself? @_@!!! Oh my goodness! Perhaps she has to lay in the box now because she's hiding her belly!! !